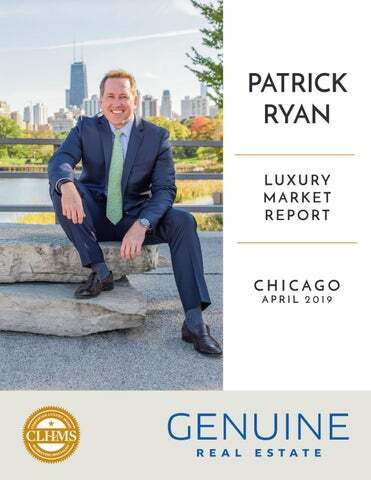 Patrick Ryan is the Senior Vice President and Managing Broker of Related Realty, the boutique brokerage division of Related Midwest, of The Related Companies, the most prominent privately held real estate firm in the United States. In this position he oversees the day-today operations, vision, recruiting, and development of the brokerage firm while serving as a liaison between the brokerage and Related Midwest Development portfolio including Chicago’s premiere luxury new construction luxury residential building, One Bennett Park. A licensed Realtor since 2004, Paul had received and achieved numerous awards including: Guild Member of ILHM, ILHM Advisory Board Member, ILHM 2015 Outstanding Achievement award winner, Certified Residential Specialist, and Chicago Association of Realtors 10 time Top Producer winner. Prior to real estate Patrick achieved sales success and awards in the following industries: transportation (CH Robinson), Pharmaceutical (Dura), and technology (HotJobs.com, Yahoo!, and iHispano). This diverse background has helped him provide excellent results for his residential clients in a rapidly changing industry. Patrick graduated from Indiana University at Bloomington with a Bachelors degree in Economics. He currently lives in Bucktown with his wife and daughter (who has been doing real estate since she was 3). He has lived in Lincoln Park, Ukranian Village, Logan Square, and River North over the past 22 years. Patrick volunteers at Lurie’s Children’s Hospital, Century Rides, and travels extensively. CHICAGO MARKET SUMMARY | MARCH 2019 •	The Chicago single-family luxury market is a Buyer's Market with an 11% Sales Ratio. •	Homes sold for a median of 96.61% of list price in March 2019. •	The most active price band is $800,000-$899,999, where the sales ratio is 16%. •	The median luxury sales price for single-family homes has increased to $1,075,000. •	The median days on market for March 2019 was 107 days, down from 141 in February 2019. 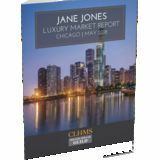 CHICAGO MARKET SUMMARY | MARCH 2019 •	The Chicago attached luxury market is a Buyer's Market with a 9% Sales Ratio. •	Homes sold for a median of 98.23% of list price in March 2019. •	The most active price band is $750,000-$799,999, where the sales ratio is 22%. •	The median luxury sales price for attached homes has decreased to $892,000. •	The median days on market for March 2019 was 54 days, down from 119 in February 2019. Thank you for taking time to view this report. For more information about this report and the services I can offer you and your luxury property, please give me a call at 773.383.7689.